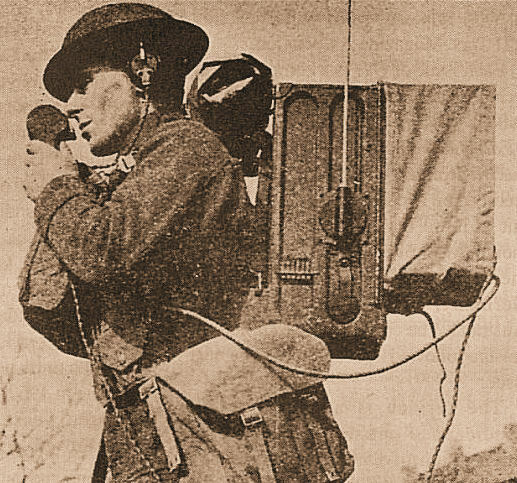 The humble Handie-Talkie, which most of us have come to accept as being an integral part of our amateur radio inventory today, celebrated its 79th birthday during 2019. Like many of the other technological advances of that time, the handie-talkie was conceived and born of the Second World War. Its conception was driven by the US Army’s requirement for a small, lightweight, user friendly voice radio, which would provide short-range communications within the battlefield at section and platoon level. 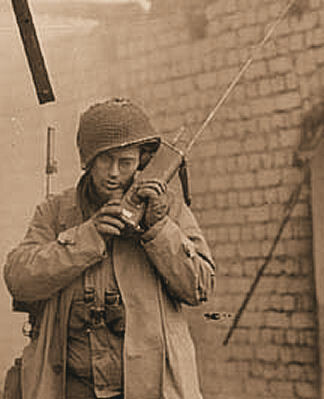 Starting life as the US Army Signal Corp’s SCR-536 (BC-611) short range radio set, it quickly attracted the name “handie-talkie” because of its ability to be operated in one hand against the side of the head. 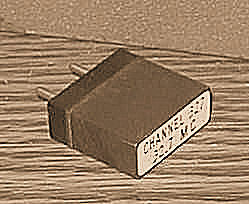 The SCR-536’s small size (seen above) can be attributed to its use of RCA’s then advanced new miniature “all glass” 7 pin battery valves (shown at left), which first appeared on the US market in early 1940[i], but were not seen outside the US until after the war (AWV released them in Australia during the late 1940’s). The SCR-536’s design was years ahead of its time and far better than anything then available to the Germans, Japanese, Russians, British (shown at right) or Australians; all of their offerings being generally low performance, large, “Man-packed” units. The Galvin Manufacturing Corporation of Chicago, founded by Paul and Joseph Galvin (shown to the left) in 1928, initially produced AC mains battery eliminators for use with the popular battery powered broadcast radios of the time. However they also became more and more involved in the demand for mobile and fixed broadcast radios for the home market as well as early US Police FM communication systems. 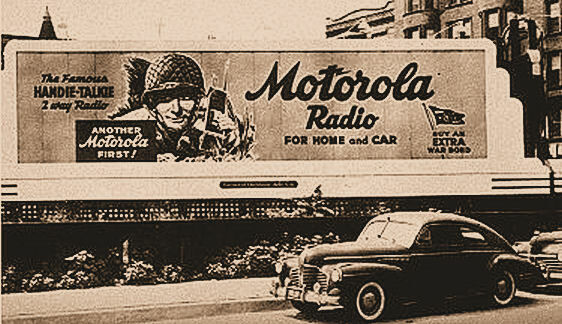 Galvin’s product trade name was Motorola, which represented ‘Radio on the Move’. In 1948 the Corporation became Motorola Incorporated and was one of the first manufacturers of television receivers for the emerging US mass market. Motorola’s continued innovation over the years has made it the well-known household name it is today. 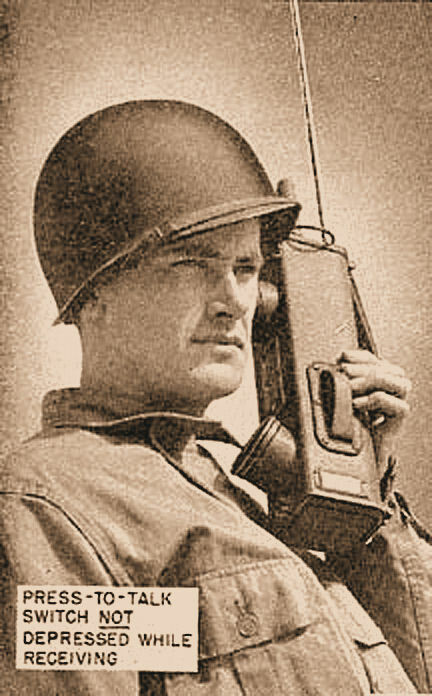 During World War 2 Galvin also designed and produced a variety of communication equipment for the US Government, however their most famous is without a doubt the SCR-536 (BC-611) Handie-Talkie. In 1940, with Europe at War and the rumbles getting ever closer to US shores, Paul Galvin (1895 to 1959) authorized a team, lead by chief engineer Don Mitchell, to design and build a light, portable, infantry radio set. 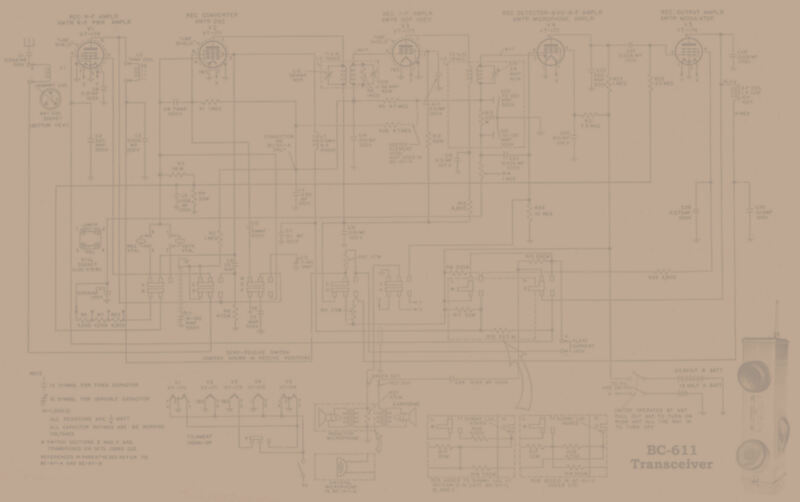 This resulted in a uniquely packaged high performance, self contained, hand held radio that weighed around 2.5 kg. In 1941 the US Army Signal Corp placed a Contract with Galvin and by 1945 130,000 units had been manufactured under the designation SCR-536 (BC-611). As an aside, Galvin also coordinated 30 other manufacturers, implementing quantity production techniques, which resulted in the eventual delivery of 35 million quartz crystal units (shown to the left) during WW II. On May 22 1951 Motorola Inc. registered the trade mark "Handy Talkie" with the US Patent and Trade Mark Office..
[i] Australia's AWA Radiotronics journal announced the release in the US of the 1R5, 1S5 and 1T4 in its February 1940 issue, while the 3S4 were not announced until February 1941.